One can always tell when one is getting old and serious by the way that holidays seem to interfere with one’s work. Any outfit that has to beg its listeners for money is an organization that has to constantly please its listeners or it will dry up and go away. It shouldn’t work when you think about it. I go home by noon, and I’m in bed by 6 p.m. I get up at 1 and do it again. I’m a very straight-laced, conservative news kind of guy. I wake about 1 a.m. I’m in the office by 2 a.m. We’re on the air at 5. I’m still excited at being at a microphone and talking to listeners. I love that. It’s the most basic element of what I do and I still enjoy it very much. In college, I got interested in news because the world was coming apart. The civil rights movement, the antiwar movement, the women’s right movement. That focused my radio ambitions toward news. Bob Edwards is an American broadcaster and Journalist. He is a Peabody Award-winning member of the National Radio Hall of Fame. He was the first broadcaster with a large national following to join the field of satellite radio. He gained fame as the first host of National Public Radio's flagship program, Morning Edition. 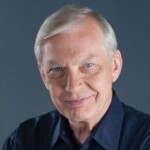 Starting in 2004, Edwards then became the host of The Bob Edwards Show on Sirius XM Radio and Bob Edwards Weekend distributed by Public Radio International to more than 150 public radio stations, the latter of which still airs in rerun form. He earned an M.A. in Communication from American University in Washington D.C. In 1972, at age 25, Edwards anchored national newscasts for the Mutual Broadcasting System. He is the author of two books: “Fridays with Red,” which chronicled his radio friendship with legendary sportscaster Red Barber, and “Edward R. Murrow and the Birth of Broadcast Journalism.” He has won the duPont-Columbia Award for radio journalism, a George Foster Peabody Award for excellence in broadcasting, and the Edward R. Murrow Award for outstanding contributions to public radio.